Kyasanur Forest disease has reportedly been confirmed in 332 people, in India. Nineteen people died from the virus, which was believed to be spreading from an outbreak in Sindhudurg, India. “Between January 2016 and January 2018, laboratory tests confirmed 332 cases of the disease in the district, and 19 cases of that number were lethal,” reported Russia’s federal service on protection of consumer rights, Rospotrebnadzor. The virus is transmitted to humans after a tick bite, or contact with an infected animal, according to the Centers for Disease Control and Prevention (CDC). The symptoms of Kyasanur Forest disease can begin suddenly after an incubation period of three to eight days. Signs of the virus include chills, fevers and headaches. Vomiting, bleeding problems and severe muscle pain can develop three days after the initial symptoms begin. Some patients have reported abnormally low blood pressure, as well as low red blood cell, white blood cell and platelet counts. After one to two weeks, some patients completely recover from the viral infection. But, in 10 to 20 per cent of patients, a second wave of symptoms can develop, said the CDC. These secondary symptoms include fever, headaches, tremors, vision deficits and mental disturbances, it claimed. Less than five per cent of cases are fatal. 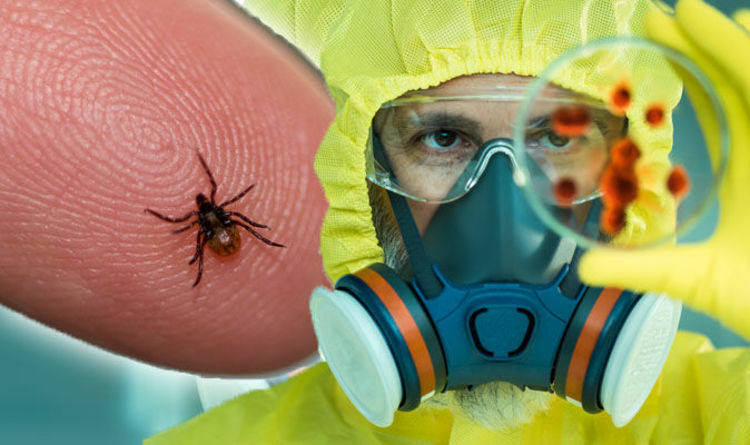 CDC said: “People with recreational or occupational exposure to rural or outdoor settings (e.g., hunters, herders, forest workers, farmers) within Karnataka State are potentially at risk for infection by contact with infected ticks. Early diagnosis and supportive therapy is crucial to treating the infection, as there’s currently no specific cure for Kyasanur Forest disease. Tourists are advised to use insect repellents and wear protective clothing in areas where ticks are present.